Growth Direct™ is truly a first: the only system that automates the compendial method to improve the efficiency, productivity, and profitability of your facility. The reason: the numerous technological innovations Growth Direct brings to the field. 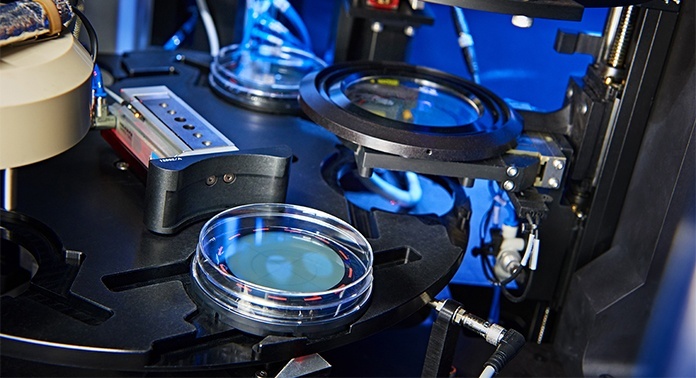 Growth Direct consists of multiple robotic arms, two on-board incubators, and an imaging system that analyzes user-prepared samples for environmental monitoring, water testing, bioburden testing, and sterility testing. The blue LED is part of the core technology behind Growth Direct. Illumination of a sample via a blue light causes colonies to fluoresce without destroying them. Instead of relying on error-prone human eyes, Growth Direct employs digital imaging technology combined with sophisticated software algorithms to detect and count the autofluorescence of growing microbes. This ensures accuracy and consistency, which is critical when sample volumes—and the variability in manual counts between technicians—increase. 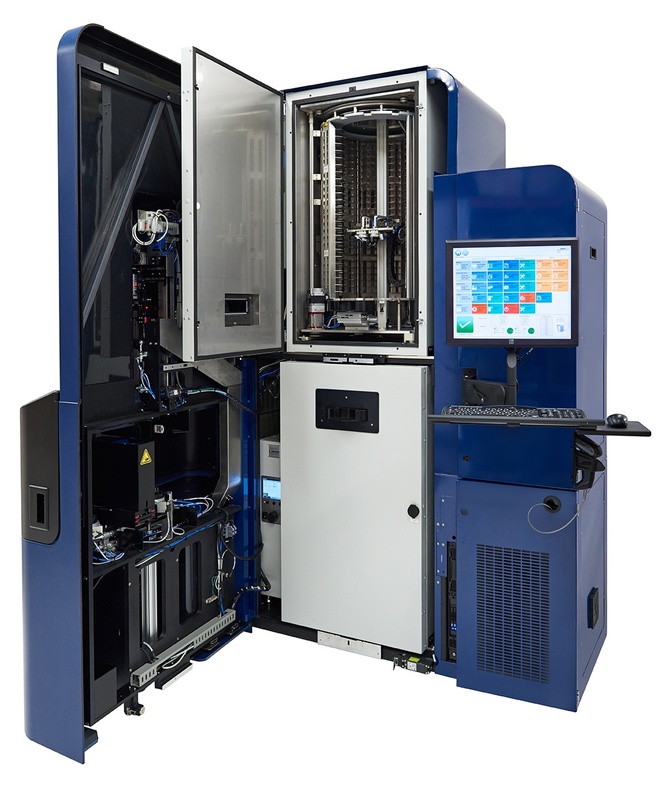 The blue LED light technology, combined with Growth Direct’s other technological innovations, enables rapid, non-destructive, automated testing to determine microbial growth in environmental monitoring, water testing, bioburden testing, and sterility testing. Growth Direct features a non-destructive detection method that requires no reagents, so you can proceed to identify colonies in flagged cassettes without the need to re-culture. With its innovative technology—advanced robotics, autofluorescence imaging, and non-destructive detection—Growth Direct delivers fast, automated, secure microbial contamination detection, enumeration, and alerts. Now, sterile pharmaceutical and non-sterile pharmaceutical, biologics, contract, medical device, and personal care product manufacturers can confidently conduct efficient, compliant microbial quality control (QC) testing and reduce the risk of costly production disruptions.